In true fairyblogmother/tech geek fashion, my first introduction to minimalism was actually in website design. 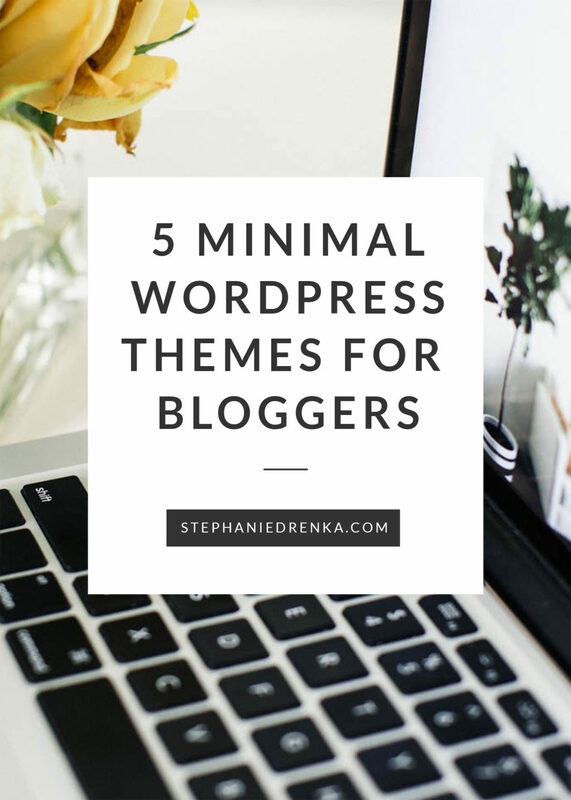 When I first started blogging on WordPress, I found myself gravitating towards the same types of themes — minimal ones. 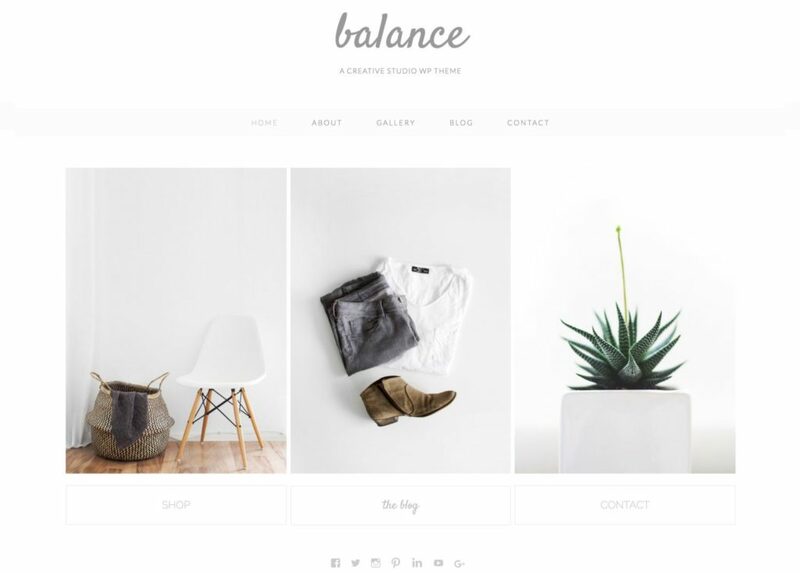 Minimalist web design is not so different from minimalist fashion. 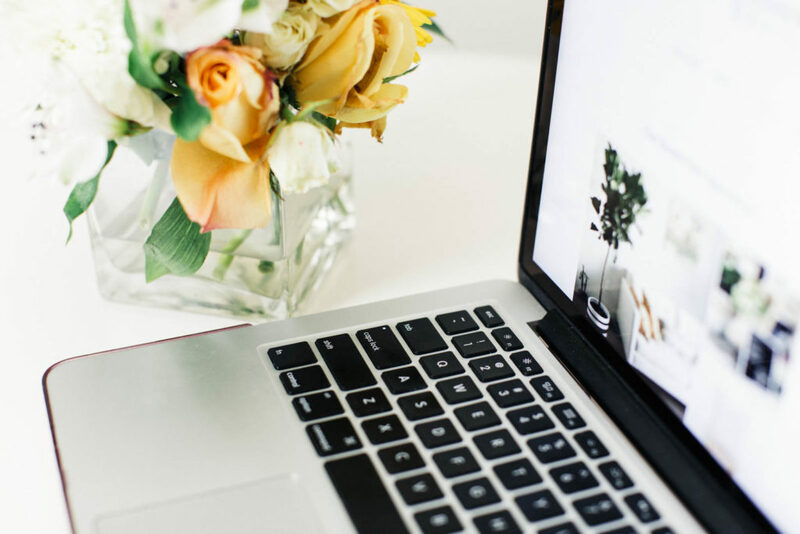 Well-designed websites with lots of white space are modern, chic, and have a strange calming effect on me– they soothe my soul! It keeps the focus on the most important part of your site– your content and brand. As an added bonus, they tend to load faster due to clean code and fewer graphics, which helps improve SEO. 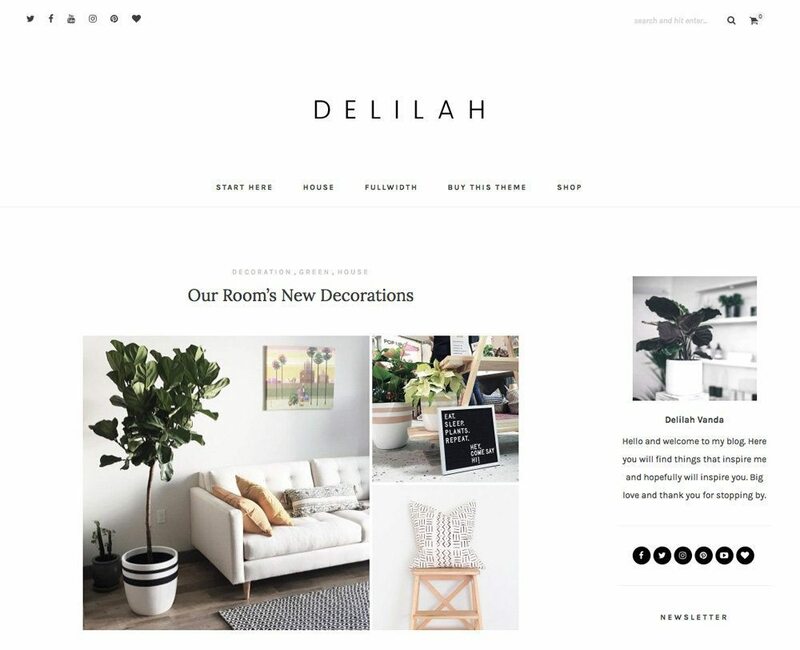 Before spending thousands of dollars on a custom design, I would strongly urge you to consider a theme as a blank canvas that can be brought to life with branding and imagery. 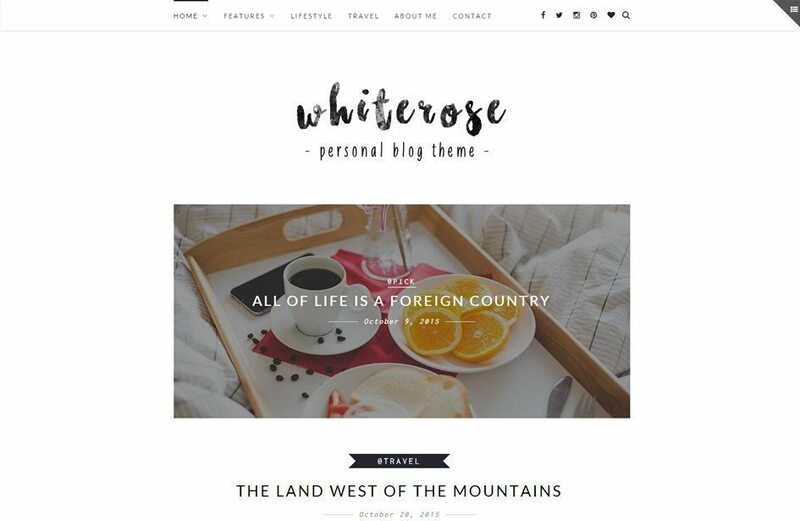 To help you get started, I’ve rounded up five of my current favorite minimalist WordPress themes. These are obviously just a small representation of the selection in the marketplace, but hopefully demonstrate that minimal doesn’t always mean basic or boring. Each of these minimal themes have unique features and layouts, so there’s something for everyone! I typically gravitate towards traditional themes with sidebars, but in today’s mobile-first world, more and more theme designers are favoring single column layouts. Unfortunately, I’ve seen several themes without sidebars that are full-width, which is great for images, but difficult for user-experience when the text blocks are too wide. I don’t recommend any content being wider than 800px. Z-White has a 760px wide content section so images are clear, and the copy is easy to read! It also features custom post types for videos, music, and more. Balance is a beautiful and versatile Genesis child theme. It has 6 layout options and eCommerce support. Most importantly, it contains the SEO-friendly Genesis framework! ($59.95 value) For more information on the benefits of Genesis, read this post. I love the hero section of this theme. The portrait landscape of the feature images lends itself well to fashion bloggers, who often take vertical outfit images for Pinterest. The custom archive template with grid format makes it easy for readers to scan past content, and keep them engaged on your site. 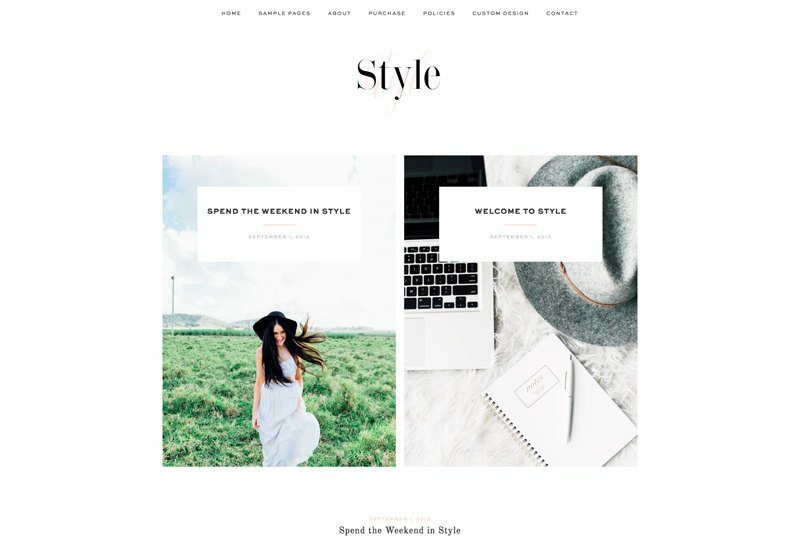 The clean, card-style format of this theme is perfect for food and lifestyle bloggers with beautiful photography. There is not room for post excerpts on the home or archive pages, so it’s best for bloggers whose pictures speak for themselves. This may be a weird geeky thing, but I love that the date is in human time difference format (aka two months ago). It’s something I hard coded into one of my old themes, and I haven’t seen in a pre-made template. Added bonus, the theme developer is offering free installation! Another theme from the designer who created Aurora (I love her style!) that also features eCommerce support. As the blogging world evolves, I think it’s important to consider your blog a brand that can expand if you want it to someday. Having store functionality is great if you ever want to start an online boutique, sell digital goods, or even just clean out your closet in an online garage sale! One cool feature is the gallery option for posts, in lieu of one static featured image. Sometimes it’s difficult to pick just one header photo! Overwhelmed by the choices? Don’t worry– I’ve been there! Click here to pin this post for later. 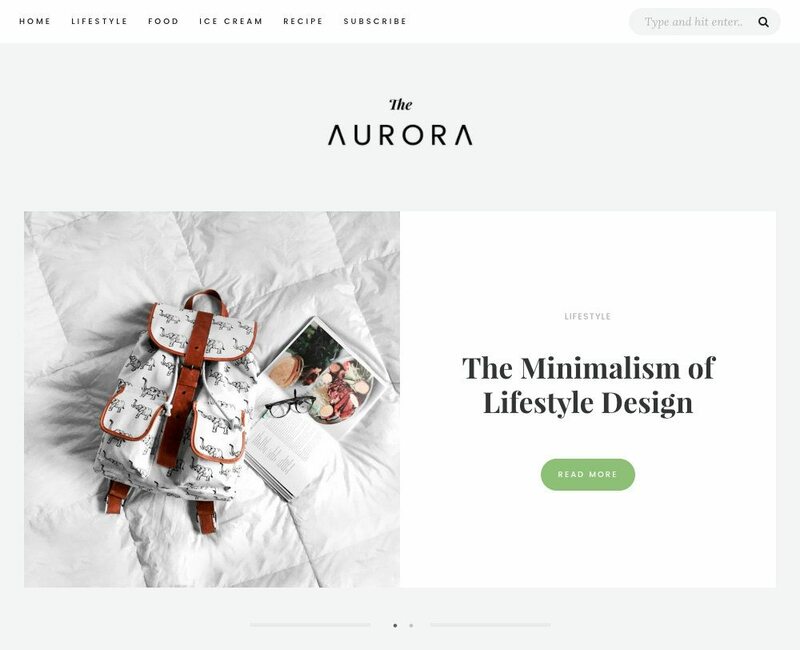 Are you a fan of minimalist web design, too? Which one of these designs is your favorite? Feel free to email me if you have questions about any of these designs or would like additional feedback before you switch your theme. Just recently I’ve vecome a huge fan of minimalist web designs. Im currently, slowly but surely transitioning into Minimalism with the focus Frugality in life and style. I like Delilah by NadaNora the most but like that Z-White by Zthemes is mobile friendly! Thanks for sharing! Yes– my minimalism journey has been slow, too– it’s hard to wean yourself off of everything at once!